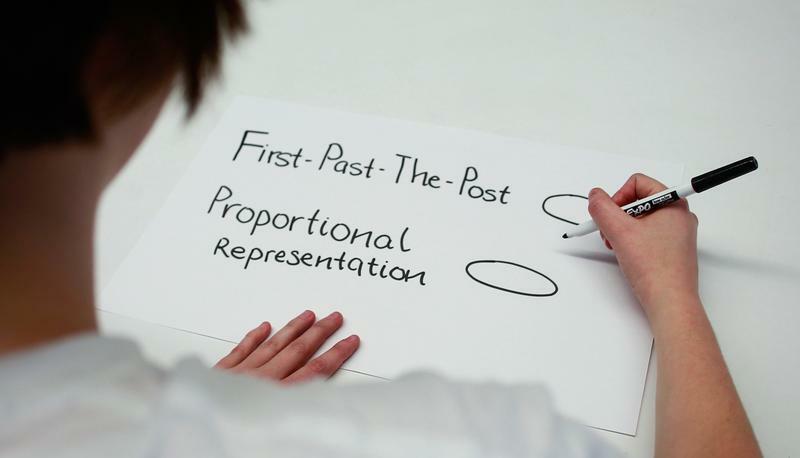 Depending on which circle you’re in, either way too much or way too little has been said about BC’s upcoming referendum on proportional representation (PR). Although modernizing our electoral system isn’t a magic wand that will solve all of our problems, there are some very strong indicators that this referendum could improve the lives of students. One of the major reasons why young people don’t show up to the polls is that they believe their vote doesn’t count — and who could blame them? A large number of British Columbians live in safe ridings, which is also the case in the two ridings that border UBC: Vancouver-Point Grey and Vancouver-Quilchena. By all accounts, those two ridings are “safe seats” for the NDP and BC Liberals respectively, with both candidates receiving 55 per cent of the popular vote in the last election. If your riding hasn’t elected anyone from your party of choice in the past 30 years, why would you — a young and engaged UBC student — show up to the polls outside of some sense of democratic duty? Our current electoral system forces politicians who would like to take power to ignore campaigning in those safe seats, and instead focus on ridings that are likely to flip. If by some miracle, Point Grey and Quilchena were swing ridings, I’d think that we’d see more of a commitment to education, public transit and mental health in order to sway the votes of students. Because those ridings are safe and the student vote is effectively ignored, the NDP and Liberals don’t care about swinging them to their favour, instead choosing to build billions of dollars in infrastructure projects in more competitive areas like Surrey and the Tri-Cities. To win elections under our current system, it seems as though you have to fork out money or promises for certain swing ridings across the province, effectively leaving safe ridings — and sometimes entire regions! — out in the cold. For example, the current BC NDP cabinet is leaving rural BC out in the cold with only three out of twenty-three members representing rural constituencies. Under PR, parties would have to appeal to as many voters as possible, regardless of geography. To put it simply, student issues aren’t being addressed by the NDP or Liberals because we don’t vote — and we don’t vote because we’re concentrated in safe ridings all around Vancouver. If we want our fair share like the rest of the province, we need PR. As university students, we’re also looking for stable conditions under which we’d like to begin our professional lives. PR is a key component of building that. PR results in a more representative sample of politicians at the table to make decisions that a clear majority of people would be in favour of. This requires parties to work together, which is an absolute necessity if we’d like to avoid the costly phenomenon of “policy lurch” that occurs on every level of government. Due to the costly flip flops in policy every time a new government is elected, it’s tough to build lasting policy that will withstand the test of time. When the NDP are elected, they burn everything that the BC Liberals do to the ground, and vice versa. Ask yourself: Is this a good way to build climate policy to save us from ourselves? To decide whether to not to build natural resource projects? To build housing projects that take longer than an individual mandate of government to construct? Definitely not. Ballots are being mailed out by Elections BC and are due back on November 30. Whether or not you’re in favour or against updating our electoral system, be sure to vote! Ranil Prasad is a third-year human geography student, president of the UBC NDP Club and chair of “Yes PR UBC.” The opinions expressed are solely his own.